At XSPlatforms, safety is always our highest priority. With our Scaffolding Systems, users are always protected; when the scaffold is in use, but also when it is being assembled or disassembled. Our solutions keep users safe throughout the duration of a project. Both our facade scaffold and our rolling scaffold tower stand out because the guardrail systems can be assembled safely from a lower level. The Guardrailframe (SafeScaffold) and the Advanced Guardrail (SafeTower) eliminate risks which were customary for years. 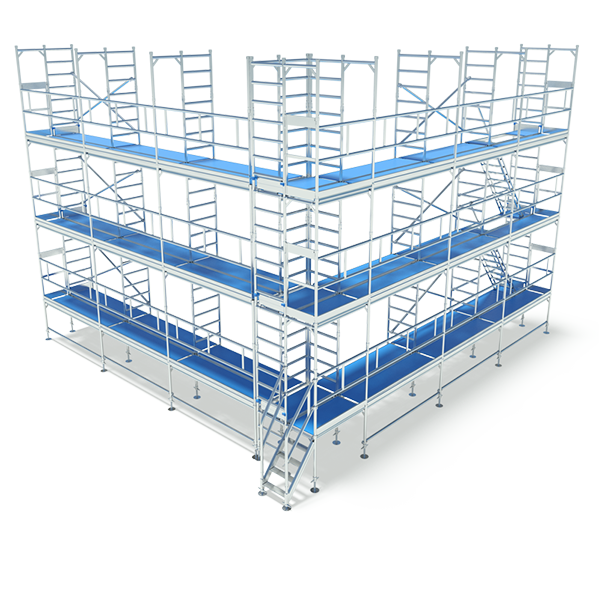 XSPlatforms’ Scaffolding Systems are faster and easier to assemble compared to conventional scaffolds. They consist of fewer, lighter parts while maintaining the same usability and functionality. As a manufacturer, XSPlatforms is the proud holder of a zero-accident track record: none of our Scaffolding Systems have ever been involved in an accident. Every component is designed and tested to meet or exceed international and local standards and regulations. 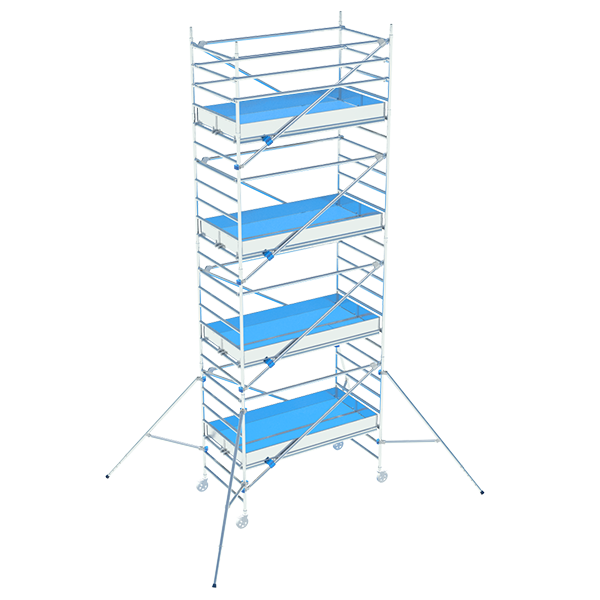 The SafeScaffold and the SafeTower are made of lightweight aluminum and high-grade composites, and all their components are designed for easy handling. Both Scaffolding Systems can be erected without any tools. More information about our Scaffolding Systems? The SafeScaffold is our facade scaffolding solution that is 100% safe to assemble, without the need for a personal fall arrest system. 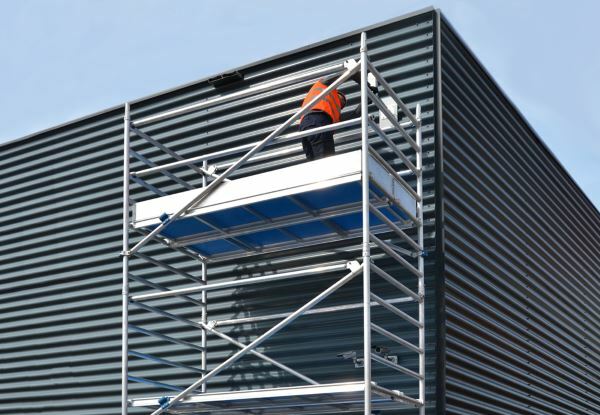 Its unique Guardrailframes and Vertical h-Frames make the SafeScaffold incredibly safe and easy to assemble, while the corner frames make it more versatile. Designed to eliminate occupational hazards, the SafeTower is the safest and most user-friendly mobile scaffold tower on the market today. Ideal for both indoor and outdoor use, the SafeTower comes with an Advanced Guardrail that can be installed from a lower level. 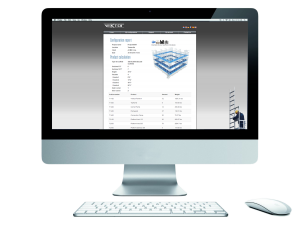 Gain access to Vektor: our online, scaffold configuration tool.